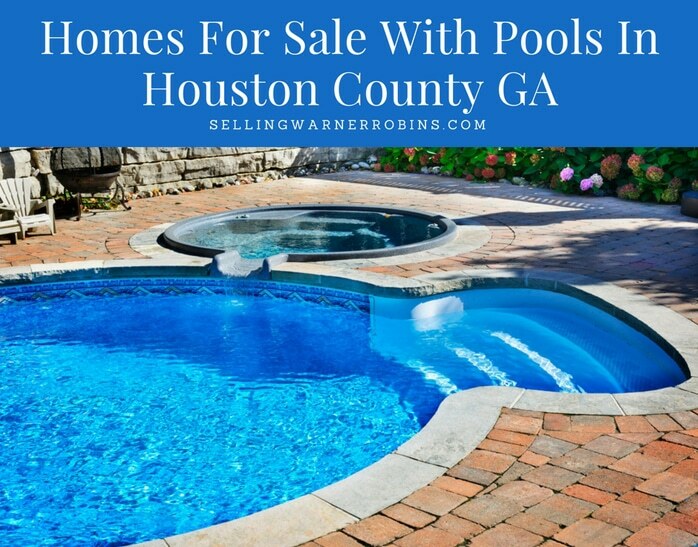 With the great weather we get for several months of the year, it can make sense to look at homes for sale with pools in Houston County GA when you are ready to purchase a home. Pool homes in Houston County are often sought after, which means the available houses will often get a lot of attention when they hit the Houston County GA real estate market. If you are serous about owning a pool home in Houston County GA, it is important to note that you will often not totally recoup the cost of an install when you sell the home. In fact, you may only get about 30% to 40% of its value on an appraisal. All the more reason if you decide to install a pool home in Houston County to put it in because you want to enjoy it, not expect high value when you try to sell the home. Feel free to browse through all the real estate listings below, check out the photos, and create a list of your favorites. You will also find a wealth of information on this site about local market conditions, schools, and nearly all the subdivisions in Houston County. At the end of a busy day or when you want to entertain outdoors, a back yard swimming pool is a great way too cool off and enjoy the great local weather. When you are ready to purchase one of the homes in Houston County GA with a pool, be sure to call me so we can find the right property for your needs. As with any home purchase, it significantly helps to be pre-approved so you know exactly how much you can afford and to show sellers you are serious about a home purchase. Below is the complete list of homes for sale with pools in Houston County GA. If you have questions about any of the listed properties below, please contact me. I would love to earn your trust and help you find the home of your dreams in Bonaire GA.
For a list of homes with pools in a specific community, check out the individual lists below. Do not be alarmed if you cannot find something that meets your needs…these markets change frequently so check back often.